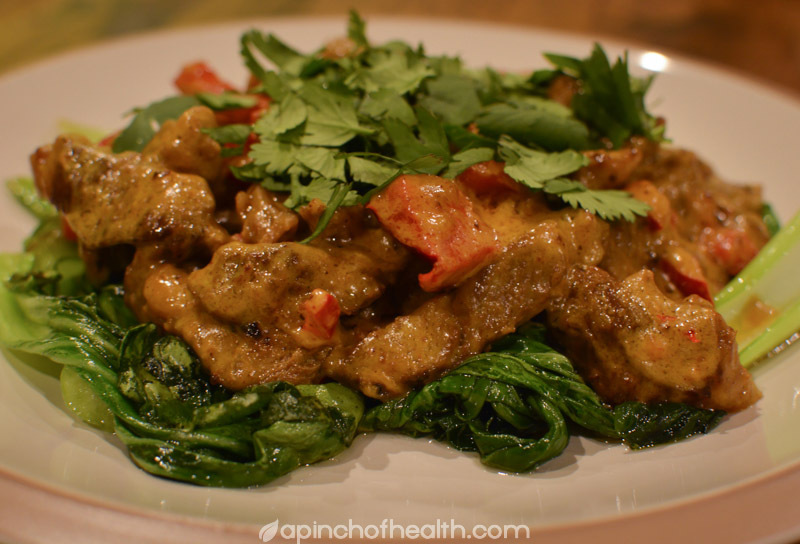 This is a home made low carb satay recipe, it's really yum. We have used it for beef, lamb and chicken. We make it mild for Maya but you can make it as hot as you want to. I have mine on top of veggies. The recipe that Garry based this around used sweet chilli sauce, he has reduced it to just 20ml, if you look around some have less sugar in them and you can also buy sugar free one such as Ayam brand which is in supermarkets or you could make your own (pretty sure we have some recipes), I prefer to avoid the sugar free ones because of the artificial sweeteners. Otherwise, its just the sweet and chilli you're after so you could easily add your preferred sweetener and chilli to taste. Garry used this recipe as a guide, we get 4-6 serves from this. Next time we have the chicken one I will take a photo and add it to the chicken section but it will be exactly the same except it will use chicken thighs. Heat oil in wok and stir fry lamb in batches for a few minutes to brown and set aside in another bowl. Heat more oil and stir fry the capsicum, cumin and tumeric until capsicum is starting to get tender. Add lamb back to wok and then add coconut cream, sweet chilli sauce and peanut butter, bring to boil and simmer for around 5 minutes until cooked the way you like it. Remove from heat, add lemon juice and season if needed and then serve with coriander and if you like chopped peanuts sprinkled on top. The post was edited 2 times, last by Sherrie ( Oct 10th 2014, 5:58pm ). Looks good Sherrie - I'll put it on the list to try. What is your go to lunch and dinner recipe when short on time?